How much is learner insurance? We all know your parents had it easier, right? Life for millennials is more expensive than for previous generations, and that’s a proven fact. You’re less likely to own a home, and more likely to be broke. Driving is a vital part of many people’s everyday lives – one that they’re willing to fork out for. It’s difficult to put a price on the convenience and freedom of having a car but here at Dayinsure, we thought we’d give it a try. Buying a vehicle, and insuring and maintaining it, all adds up when you’re a car owner. But how much are you likely to spend on driving lessons, tests and insurance even before you receive your coveted licence? Lending your car to a friend, teaching your child to drive, sharing the driving on a long journey – life is made up of mini-moments in our cars. That’s why it’s important to make sure you’re properly covered for these events. Getting short-term car insurance can help your mind rest easy, giving you more time to enjoy life with your loved ones. That’s why we teamed up with Wales Rally GB, RED Driving School and Clicky Media to bring you ‘10 moments in your life when you need temp car insurance’. Our amazing guide lets you know why temp car, van and motorhome insurance can save you money, time and hassle. Download it today and see what you’re missing out on! The FIA World Rally Championship will return to the heart of the historic walled city of Chester for the first time in 20 years on 28 October. 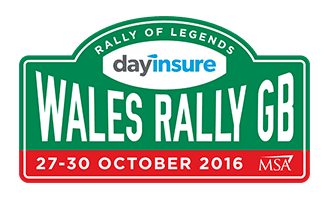 The stars and cars from the Dayinsure Wales Rally GB (27–30 October) will visit Chester having completed their first day of competition in the forests of mid-Wales. International Motor Sports (IMS) Ltd, organiser of Wales Rally GB, is delighted to announce a new title partnership with Dayinsure, one of the UK’s leading short-term car insurance firms. As a result, this year’s UK round of the prestigious FIA World Rally Championship will be known as the Dayinsure Wales Rally GB.